Improve Productivity and Performance with Montel’s Intelligent Storage Systems that Optimize Capacity and Adapt to Your Business’s Changing Needs. In the ever-more competitive world of business, companies are constantly seeking to gain an edge in terms of productivity and performance. There are many ways to do this: applying new technology, refining systems, streamlining operations. One area that should not be overlooked is storage—choosing the right system can make a positive difference to your organization. And to get the most of your space, the industry benchmark is Montel. 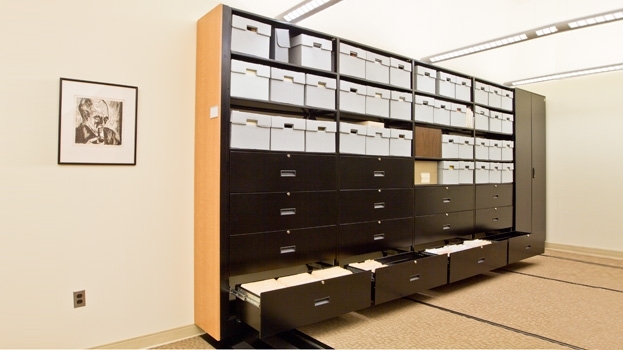 Simply put, whatever the nature of your business—accounting firm, car dealer or tire store, engineering firm, energy company, financial institution, hotel or casino, insurance company, law firm, manufacturing factory, pharmaceutical company or real estate company—Montel delivers the best storage systems in the world. Our solutions provide intelligent storage that both makes the most of your space and adapts as your needs evolve. Here are just some of the business benefits: building productivity, innovation and teamwork; consolidating staff, equipment and files; maximizing control and security; and opening up more space for operations through more efficient storage of large volumes of material. 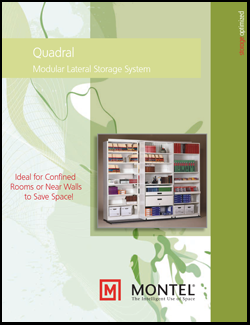 Montel offers you an extensive range of exceptional storage solutions, both movable and stationary, large-scale and compact. 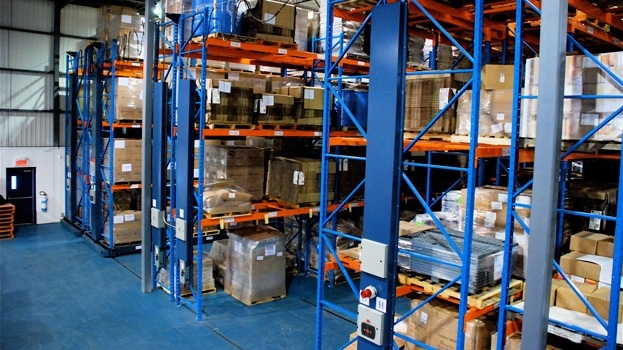 Depending on your needs, we have modular, mobile, expandable, portable, reconfigurable and economical options for storage, shelving, racking and filing.